A common question from runners is: "What kind of training runs does your club have?" The following is a list of training groups offered by LMJS members and other club in the East Bay to help runners find groups to run with. Please contact the individual indicated for each training group if you have questions about their runs. 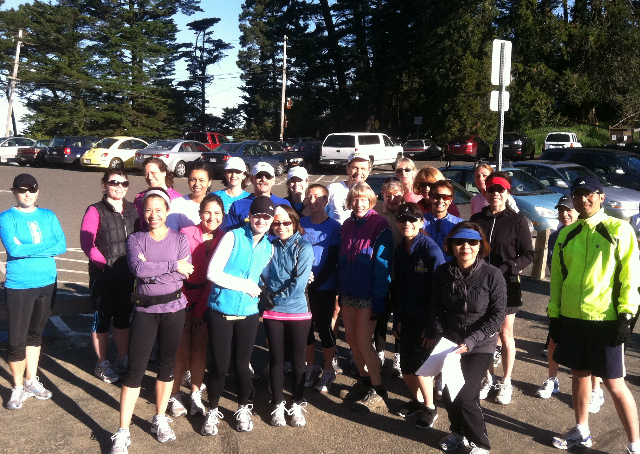 All runners are welcome to join LMJS for our Saturday morning training runs at venues throughout the East Bay. There will be several options offered in terms of distance, from just a few miles for beginners or double-digit for those training for a marathon. Please contact Lucy Stokely at stokely.lucy@gmail.com or Barb McQuinn at bmcquinn@earthlink.net if you have any questions about these fun runs! Contact Juliann Sum at jsum33@gmail.com to be included in the email list for weekly details on these. Day and Time: Tuesday, 6:30 p.m. PLEASE NOTE: THE FOLLOWING TRAINING GROUPS ARE NOT OFFICIAL ACTIVITIES OF LMJS AND YOU ASSUME ALL LIABILITY AND RISK SHOULD YOU DECIDE TO RUN WITH ANY OF THEM. Distance: 3, 5, 7 miles, your choice! Day and Time: Thursday, 7:00 a.m. Frequency: Several times during the week and both days of the weekend. Day and Time: Weekdays in the evening and weekends in the morning. Location: Weekdays meet in Berkeley, weekends it could range from Mt. Tam in Marin to the East Bay park trails to Mt. Diablo State Park. Comment: If you are interested in longer runs this is the group for you. Day and Time: Tuesdays and Thursdays at 6:00 a.m.
Day and Time: Saturdays at 9:00 a.m. Location: Different sites in the East Bay including Lake Merritt, Alameda, Berkeley, etc. Location: Runs start in front of the store located at 45-B Crescent Drive in Pleasant Hill. Contact: 925-827-4772 or see http://www.fleetfeetpleasanton.com/training/weekly-runs-walks for more details. Day and Time: Tuesday evening and Saturday morning. See website for more details. 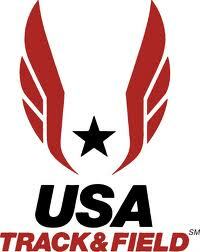 Location: Runs start in front of the store located at 310C Main Street in Pleasanton. Day and Time: Wednesdays @ 6:30 p.m. Location: Trail run at various locations in the East Bay during the Spring, Summer and Fall. Winter from the store on College Ave, Oakland. You must sign up with the store in order to receive email weekly location during trail season. Day and Time: Mondays @ 6:30 p.m. Location: Run from the store, 1881 Ygnacio Valley Rd., Walnut Creek, along the Canal Trail or Iron Horse Trail and back to the store.